Why Aren't There More NUCCA Chiropractors? Where Can I Find A NUCCA Doctor Outside Anchorage? Is NUCCA a type of chiropractic? 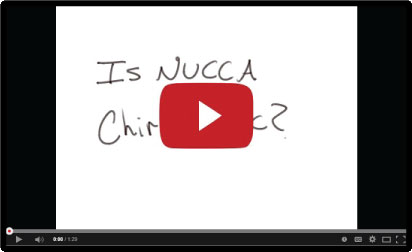 NUCCA stands for the NUCCA.orgNational Upper Cervical Chiropractic Association. The majority of chiropractors practice full-spine, or segmental chiropractic - which is what most people envision when they think of a chiropractor. Upper cervical chiropractic shares many of the same goals and principles as segmental chiropractic, but differs in terms of its conclusions on how those goals are best achieved. If you were to visualize chiropractic as the trunk of a tree, it would have two main branches: an upper cervical branch, and a full-spine/segmental branch. And from these two, you would see many smaller branches splitting off to fill in the full tree. For example, upper cervical chiropractic branches into two sub-theories: orthogonal and non-orthogonal. At Rumsey Spinal Care we advocate the NUCCA procedure, which is rooted in the orthogonal branch of upper cervical chiropractic. A closer look at the advantages of upper cervical chiropractic and the NUCCA procedure can be found here. What makes NUCCA so different? How does the NUCCA procedure work? Where can I find a NUCCA doctor if I'm not in Anchorage? Looking for a NUCCA chiropractor outside of Alaska? Enter a location and search below. The directory includes members of the National Upper Cervical Chiropractic Association who are doctors of chiropractic, chiropractic students, and laypersons. With the exception of Certified doctors, this directory makes no attempt to qualify any individual's expertise or right to practice chiropractic in any jurisdiction.